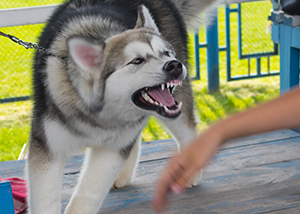 In Washington, a dog owner is liable for a bite when the bite occurs in a public place, or when the victim is lawfully upon the private property of the dog owner. A person is deemed to be lawfully on the property when the owner gives express or implied consent. Such consent shall not be presumed when the property is fenced or posted. Recovery for dog bite injuries often hinge on whether the victim was on the property lawfully. This often requires careful investigation of the relationship of the victim and the dog owner, the location of the bite, and many other contributing factors. To stay safe, It is always best to avoid encounters with dogs you do not know, and to be sure you have the owner’s permission before entering a property or engaging with a dog. RCW 16.08.050: Entrance on private property, when lawful. Dog bites can leave permanent scars and disfigurement. 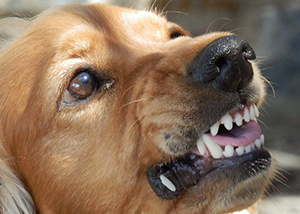 Many bites happen on visible places like the face, hands or arms and can cause embarrassment and humiliation to the dog bite victim. If you or your child has been bit by dog, contact the dog bite lawyers of Parke Gordon Law Firm in Spokane to handle your case. 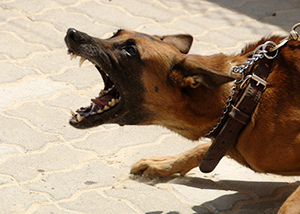 We offer a free consultation to discuss your dog bite with an experienced attorney for free. Call (509) 482-7274 now.